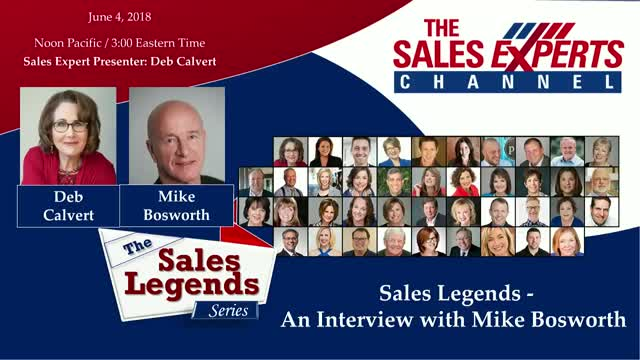 Mike Bosworth has been a thought leader within the field of sales and marketing over the last several decades. He is an author, speaker, entrepreneur, story seeker and sales philosopher. Bosworth is the best-selling author of Solution Selling: Creating Buyers in Difficult Selling Markets (McGraw-Hill, 1993) co-author of Customer Centric Selling (McGraw-Hill, 2003) and co-author of What Great Salespeople Do: The Science of Selling Through Emotional Connection and The Power of Story (McGraw-Hill, 2012).